Our sixth day in Mexico was a Saturday. Our Carnival days were complete, and Pastor Nelson had decided that we would work in his neighborhood this day. Chris Bautista, the missionary that had met us at the airport with Nelson, had experience working with youth, and came to know the Lord through Campus Crusade for Christ. We were going to use his comfort, and ease with speaking to young people to find some to minister to in the neighborhood of Las Alamedas. I feel like I should sort of explain all these towns and areas that we have been in, to you. I will start at the top, and hopefully I won’t lose anyone in the explanation. The whole time we were there, we kept saying we were in Mexico City, and our ever patient guides kept smiling at us and telling us no. We were indeed NOT in Mexico City. In Mexico, Mexican people refer to Mexico City as the D.F.. The closest thing I can associate it to is how we view Washington D.C.. The DF is their Federal Government seat. Now, around that, to the north of the DF is the state of Mexico. I can see the look of confusion…. hang with me…. this took me 2 weeks to understand, and almost a month to figure out how to explain…..
Mexico is made up of 32 independent states. Maybe this map will help it make a bit more sense…. O…K…. see that MEX above the stick that points to the letters DIF? DIF is the capital. That MEX… that is where we are. Now there are a bazillion towns that are in the State of Mexico, and we have been in three that are next to each other. Atizapan, Colonio Olivos, and Tlalnepantla. Then……. as if that wasn’t confusing enough…. the neighborhoods are all broken into areas as well. So we are sleeping in the TOWN of Atizapan, but in the neighborhood of Las Alamedas. We have worked at a church called Fransisco Villa, but it is in the town of Tlalnepantla. Finally, the church Los Olivos, is in the town Colonio Olivos….. AND…. just in case you were wondering….. all of this area is counted in the mix when they say how many people live in Mexico City….. but if you are in Mexico… it isn’t really Mexico City…. got it? Now that I have lost you completely with the lesson in Geography…. I will get back to what we did on Saturday, day six. We walked up several hills to a park that was nestled on a hillside in the neighborhood of Las Alamedas. It really wasn’t that big of a hill…. but when you are at 7,000 ft above sea level…. being out of breath takes on a whole new meaning. We finally made it to the top…. and were able to stop panting and wheezing, long enough to get a game of soccer going. It was American concrete soccer…. it wasn’t pretty. Our goal was to strike up a game and see if we could get some high school or college aged nationals to play with us, our lame American version of soccer. We were able to talk a dad that was there with his family into a bit of game time….. but when the World Cup started, he was headed home to the couch to yell at his TV with the rest of the country. After Tayler decided, while in mid-air, to turn the opposite direction from how she had planted her foot on the ground…… and twisting her knee and therefore crumpling to the ground like a wadded up piece of copy paper, and needing to be carried off the field……. we decided that soccer and concrete don’t mix….. and that not a soul was going to join us while the World Cup was on…. so, we decided that we would go back for lunch, join the rest of the entire country, and watch the game ourselves. This brings us to the next installment of Mexico Math. We fit 8 people into 5 passenger car. 6 of them in the backseat. This was because Tayler was injured…. so she got the front seat, the other one to have his own seat, was the driver. We thought that was important. Our driver was the always present Pepe, there will be more on him later…. So in the back seat there was Pastor Bill, his wife, their 2 girls ,Evan and ME…. it was raining, so we couldn’t roll down the windows, and Evan and Tayler had just played soccer….. Can anyone say RIPE? We bottomed out on a few speed bumps, and on one I thought we ripped a hole in the gas tank, but all in all, we made it home alive. After we peeled ourselves out of the car…. we had lunch and then headed down the street to Pastor Nelson’s house to watch the World Cup. Here is where I learned how passionate, our dear , sweet, reserved, quiet, Pastor’s wife is…… about futbol. Those who sat near her on the couch may have permanent hearing loss…. we are still waiting for their hearing tests to come back. After the game was over, we headed back up the hill to the park, to see if anyone was out playing soccer…. excuse me… futbol. This time we were in luck. There were a group of guys hanging out at the actual soccer field. We strolled up… ( descended upon them like a flock of locusts would be more accurate ) and asked them if we could play. I think they said yes, for the sheer entertainment value of playing futbol with some goofy lookin’ Americans. I will just call it as it was……. we got SCHOOLED! They passed circles around us……..
we did this a lot….. Kicked the ball off the field…… We always chased it down the hill, so they didn’t have to…..
What happened next was the best part of the day. It was the whole reason that we were willing to suffer great humilitaion on the futbol field. We invited the whole bunch of them to see a skit we had prepared. They agreed ( and I am sure that God provided rain just then to help us along ) so we went up to a pavilion at the park, and got to business. After the skit, two of our guys shared their testimony. Alex shared his with them in Spanish… and Cory shared his, in English with Mrs. D translating. Cory’s testimony was amazing. He shared with them, that no matter how many good things you think you have done…. not a one of them without Christ, will get you into heaven. The whole time he was talking, my head was bent in prayer…. beseeching God to make Himself clear through Cory’s words. Chris, our new missionary friend, finished up the time with an invitation to accept the Lord. He passed out tracts, and let them know where a church was in their community, so they could learn more. It was a great ending to a very busy and action packed day. We may never know if any of those boys accept the Lord, but we do know that they heard about Him, and how the only way to heaven is through Jesus Christ. It was a blessing and a privilege to be used by God that day. Things are swinging right along………. We have put together a kids carnival out of cardboard, toilet paper and plastic water bottles…. We have found wonderful new friends that speak English and we are able to converse with people without looking like total goobers, they are ever so patient with us as we try to speak Spanish….. Our hosts have shared with us new games, and stories to entertain the kids and give the gospel message…. we are having a blast!!!!! I am awakened at 3 in the morning, by someone rustling through my backpack. My backpack was the designated mommy medicine cabinet…. I sleepily ask “What do you need?”, Tayler answers with ” Mom, where are the Tums? Tabby, Sara, Megan and I don’t feel so good.” Now, these are words no mom wants to hear in the best of circumstances. The current location of these children, does not make this statement remotely ideal. In fact, it makes my blood run cold. I tell them which pocket they are in…. they pass the bottle around….. and we all lay back down….. It lasted about 10 minutes. I forget exactly which one was the first to go, Sara or Tabby….. but once it started… it didn’t stop. A half hour later, I know there is no possible way I am going to go back to sleep…. My heart aches for these girls, they are in a different country…. and I am sure they are missing their mommies something fierce. I go downstairs to get a washcloth wet, and to get a bottle of water for them to rinse out their mouths with………. and I find two boys splayed out on the floor in the “living room” . It is Cory, and Evan. Now there are 5 that are sick. Now I know for sure it isn’t going to pass quickly…. nor will these be the only 5…… Before 5 am we were up to 7….. by noon…. it had claimed all but 5…. By 8 am we had the Doctor on the phone. He knew what we had been given to eat the night before, and he was sure it was food poisoning… He came over and checked everyone out, made sure they weren’t dehydrated. Mrs D. and I were pumping the medicine and electrolytes down all of them as fast as we could. They just moved all their pillows and sleeping bags to the living room….. Pastor Nelson brought them movies…. they hooked up the computer and watched some cartoons, and politely tried not to die. Poor things. I eventually got it too…… but not till after dinner…. then a few more fell in the next days….. I think there were only 2 people who didn’t get sick with even a sniffle the whole time we were there. Even though they were sick, miserable, laying on a concrete floor covered in thin carpet…..running for a bathroom every so often…….. they were troopers. I never heard a complaint. No one asked why, instead, they asked… ” I wonder what God wants us to learn from getting sick?” Even in their sickness they were taking care of others who were sick….. They chose to serve each other, when laying there and moaning could have been the easier option. We learned that God wanted our focus on HIM and the things HE was going to do on this trip…… Not on US and our prideful thoughts about how good we had been doing….. We thanked Him for bringing us up short, early in our trip, so that we could see the things that He had planned. Upon our arrival to our new home, we were greeted by the wonderful aroma of food. There was a kitchen full of women, cranking out something that smelled delicious! Remember that I had been up since 4 am…. I had a cup of coffee before I left the house……. peanuts on the first flight….. did not have a chance to eat between flights, and had planned to buy a box of something on the plane. Just as a note of warning to any and all passengers on Delta……… they only take debit cards for food on planes. I left my debit card at home…. so that meant, more peanuts and coffee for me. So by the time that we were in Mexico…. it was another hour through customs, and an hour to the house from the airport….. I was HUNGRY! We all sat on the back patio, and were served dinner. We found out at the end of the trip, that it is a privilege to be served your food in Mexico. Frequently the cook will serve you the amount of food they feel you should eat, and for this I was glad. I told you, I was HUNGRY. Dinner was a delicious pot roast and potatoes and carrots…. hearty, simple and savory….. it was the beginning of what I knew was going to be a beautiful gastronomic relationship with Mexico. After dinner, Pastor Nelson gave the devotion. It was a challenge to us to show other people God’s love. He told us that we had already had our first opportunity to share God’s love with someone we just met in Mexico. He asked us how we did with our first mission. Did we ask our drivers if they knew the Lord? There was a few very crunchy moments for the girls. We had not said a word to our driver, aside from hello, and thank you for driving us when we got to the house. Mrs. D had chatted with him the whole ride…. in Spanish…. but we had no idea what they said. Each girl, felt the weight of our missed opportunity. The feeling of guilt in the room was almost palpable. They boys were far more successful than we were, they knew their driver’s name, his favorite sport, and they knew he was not saved. They had spoken to him about the Lord during the hour that he was squashed in a van with 10 Americans. The growing and stretching that takes place when you practice obedience, is what much of our trip was about. We were challenged time after time, day after day, to not treat the people around us like cellophane. You know, the stuff you wrap a gift basket in. It is there, but you look past it, through it, to the other thing you are really there for. Think of the cashier at the gas station…… you are there for gas, not to talk…. does he or she know the Lord? and that begs the more, perhaps MOST, important question….. Do you care? There are people that we interact with daily…… and we have NEVER spoke to them about the most important thing in life….. their relationship with the Lord. These thoughts were convicting when I was sitting in a house in Mexico hearing them……….. They are convicting now, as I type them. Right now in my mind I see the face of the Cashier in Winco that scanned my groceries yesterday……… I missed that opportunity. Our first day of real work was amazing……… we load up the van ( it was so roomy with just PEOPLE in there!) and headed over to the very first church that Pastor Nelson started when he came to Mexico. It is in a poorer middle class neighborhood, where frequently both parents need to work in order for the family to survive. The streets are narrow, clogged with parked cars. The homes rise two stories high, often right from the edge of the sidewalk. You know the neighborhood is middle class and still fairly well off, because most all of the homes are painted…… stray dogs are everywhere, so is the smell of poverty. It was amazing. The color, the life, the refreshing shade, everything that was behind that wall was nothing I would have imagined, and better than I would have hoped for. I wonder, as I sit and think about the walls people live behind in Mexico, do we realize how similar we are as Christians in America? How inside, we hold a beauty and refreshment for all those around us to share…….. yet we erect walls, barriers to anyone we meet, that says…. stay away! what is in here is MINE!!! ….. shouldn’t we be as willing and caring as the church at Fransisco Villa was, to open that gate, post a sign inviting someone in, and share some of the beauty God has planted in OUR lives?? For the next two days, we made new friends, we told little kids from the neighborhood that Jesus loved them, and wanted them to know Him. We invited the neighborhood into the church home and tried to plant the seeds of God’s love. Everything was going great……… we thought “Wow, we are doing a great job! This isn’t as hard as we thought! ” ……… they turned out to be famous last thoughts…………. Needs to fit in here…………………..
At least they are smiling…….. I we left off with Pastor Nelson trying to be seen by a sea of people in blue….. We exit the frosted glass sliding doors of the Customs section of the airport…… breathing a sigh of relief, and giving thanks to God that we made it through with all our medicine, and all our luggage. We give out hugs of hello to Pastor Nelson and are quickly introduced to a man standing beside him. He jokes with us that this man is born a Baptist, ( we are from Grace Baptist church…… well, it was funnier after being awake since 4 am….) ….and we gladly say hello to Chris Bautista, a quiet humble man who has left his own church and ministries to help us for a week. Along with Pastor and Chris, there are two anxious looking men….. they are counting…. you can see them mouthing the numbers silently…..and they look worried. We dutifully follow everyone to the parking garage….. grateful to be able to stretch our legs after the long flights and also grateful to no longer be waiting in an hour long customs line………… trying to keep all the luggage we have from falling off those airport carts…. it is piled so high on some of them you can hardly push the thing…. …….. and then we wait. There is a flurry of conversation….. in Spanish……. there are tickets, arms and pesos flying….. I am catching about every 20th word…. but I can follow the pantomime pretty well, and I understand it is: “wait here… we are getting the cars”. My relief is short lived, as I see our transportation approach……….. I think to myself……… you are going to get all this in THERE???????? The first thing I learned in Mexico…… was that seat belts….. like traffic laws are a mere suggestion. 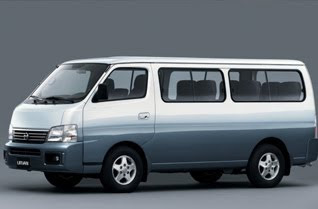 I realize that we could have never worn them the way we were squished in there….. and that the chances of us actually being injured in a van stuffed with luggage was slim…. but I really, REALLY would have felt a bit more safer with one on. We pull out of the garage into a torrential downpour, and an equally ominous sea of cars. Eddy…… our driver guns it and merges onto a flooded street, three lanes wide full of 5 lanes worth of cars, better than any cabby I have ever seen in L.A. or NYC. He keeps us about 6 inches from the car in front of us, for the next hour……. ** confession moment: I am a horrible passenger ( or was till this trip ) I frequently look for the brake pedal on the passenger side to assist the driver in stopping their vehicle. I also, gasp…. and mini squeak ( scream if you ask my husband) when something gets to close to our car. I flinch, and generally freak out on all windy roads…. or if someone drives too near us, I tense up expecting a crash** if anyone else has this same disease……. I recommend a trip to Mexico City as a “exposure” therapy. There was far too much coming at this van…. from every side, to have time to react. So I just sat there…. relaxed, and took in the vast difference in economies, housing, climate….everything was new, and needed to be seen. Just in case you were wondering, I also learned that Mexico Math…. isn’t reserved for cars…….. it is a way of life…… it happens in their buses……..
everything is crammed next to something else…….. The next stop was a three bedroom home, being used for a church……. I would say it was close to 1100 square feet…. but it could have been smaller and just felt larger for the lack of furniture…………and 16 of us were going to sleep there…… Really, they tried to lay out the people in an orderly fashion….. equally distributing us amongst the rooms…. BUT…… they thought that Megan and Brandon were brothers, and put them in the same room. They also thought that Evan and Tayler were brothers and gave them a utility room downstairs to share……. Megan and Tayler being SISTERS to the aforementioned boys…… we now without assigned rooms. So we piled them in the “girl” room. The boys slept 4 and 5 to their rooms, and we girls were 7. It is by God’s grace that the girls were the ones that had to sleep 7 to a room. Girls are much more easy going when it comes to sharing personal space. Girls have lots of sleep overs…….. at these sleep overs, they share beds… sometimes 4 in one queen bed…… girl will sit on another girls lap to ride in a car ( this came in handy nearly every day!) ……… Boys are NOT this way. So the girls just pile on into one room….. they sleep sideways on two sets of two single mattresses…….. and put three on a bed….. they were very gracious to their surrogate mommy…. and let her have her own mattress. We knew we were going to be stretched on our trip……. we knew we would be learning new things….. but I don’t think anyone was prepared for the way such togetherness was going to touch our lives. We would become close, not just proximally to each other, but close spiritually, and emotionally…….. both with GOD and our fellow trip mates. It was a great first day…. on a trip that was to be filled with love, laughter, tears, and triumph. We met at church at 4 am to leave for Mexico. Our bags were packed and loaded the night before, now all that stands between us and another country, is two plane rides over a whole lot of dirt. We arrive…. descend would probably be a better word, on the Delta Connections staff in the tiny airport where we live. They were very much hoping that we would be able to go through the kiosk and just pass them our bags….. and then they realized we were international flyers, and they were going to have to talk to each and everyone of us…… let’s just say they needed a little Jesus that morning and perhaps a second cup of coffee…. We move from there to the security check point. We remind all the kids to take off their sweat shirts and to take off their shoes. I laughingly tell someone that my kids always get searched at these things…. she tells me, probably not this time…. For the record, BOTH my children were searched. One because she forgot to take off her sweat shirt….. and the other, because he had too many books to read in is backpack. I would also like to note that NO other people from our group were searched. It’s a conspiracy I tell ya. We fly to Utah, for our connector to Mexico….. and here we promptly lose a parent. He was waiting out at our first flight for the stowed carry on…. and it was just not there…….. about 15 min later, he hears them calling for a person…. for the one bag that is left. He asked to see the tag…. sure enough…. it belonged to our pastor’s wife who had inadvertently “stolen” Mr. Henkel’s bag. The lost Mr. Henkel, found us, and brought Mrs. D her bag, with just enough time to check in and then board our flight. The flight from Utah to Mexico was 5 hours. I am not a freaky flyer. I actually enjoy flying a great deal. The only thing that really gets me on long flights is the hum of the jet engine…. so I put in my ever so stylish purple ear plugs and thank the Lord for putting me in a window seat…. because the beauty below and then all around me on that flight was breath taking. The main thing that I remember flying over was a canyon. It reminded me of the Grand Canyon, but I am not sure if that indeed was it, since they never announced what it was over the intercom. ( If they announce the town of El Paso Texas, when you fly over it…. you would think they would announce a major thing like the Grand Canyon…) anyway, this canyon was carved long and deep by the river in its base, lazily curving through the barren, hot landscape below. It was the only source of respite for miles and miles around. As we neared Mexico City, there were thunderclouds. I grew up in a plane. My dad flew little planes for years and I went off with him on many adventure in a plane. I have seen lots of clouds in my day….. but these clouds, were unlike any I have ever seen. Not only where they colossal in size…. they were different colors. These clouds were so many shades of white and gray that they defy description. The tops of these clouds were outlined, with……. a color that was grayish blueish ( to have to chose something you could identify with ) but it was more than that….. the outline was multidimensional, almost electric itself. I just remember blinking and blinking thinking my eyes were playing tricks on me…. but every time I looked at a cloud, near or far, it had this outline. It was simply beautiful. As we popped through the clouds we could see the city we were flying to greet, expansive, lush, shrouded with an umbrella of clouds. There were many areas of trees and parks that could be seen from above as well as an endless sea of houses. I was struck by how different our airports here in the states are. We don’t store our dead airplanes on the sides of the runway, we don’t have people at every gate just sitting and waiting for a plane to arrive. People who are grateful to sit there bored out of their skulls, because it means they HAVE a job, and their family will get to eat tonight because of that job. There wasn’t all the hustle and bustle, inside and out, that we have here in the states. You got the sense that planes come and go at their own pace around here, and the people just hang around to help when they arrive. Our next hurdle was customs. We all had divided up the medicine and packed it into our bags. We had to get it all past customs and this was going to be a task. We also knew that we serve a Risen Savior and He was the one calling the shots on this trip…. it was HIS medicine, and He was going to have to get it there. Only three people, and of those three, only three bags total, out of 20 people, and 40+ bags were searched. Our pastor’s wife, thankfully is a Spanish speaker, and she went to each one of the people being searched and answered all the questions that were being asked. One of the customs agents thought that one of our group had some serious issues to need so much of an antibiotic we were carrying. As the rest of the group watched, and some bowed a knee to pray….. one by one, they let them join us with all their medicine in tact. We had prayed for God to go before us and to allow all our medical supplies to enter the country….. and He did. It was our First big Praise of the trip. I happen to look out the sliding doors that led to the terminal, and I see this little white haired Chilean man waving wildly at a sea of people in light blue shirts….. It was Pastor Nelson, he was there to take us to our new home…. for the next 17 days. ………….and that my friends, is a story all in it’s own………..
We have been blessed beyond words. Thank you all for your prayers, they helped us all. As I decompress and get the photos, I will start posting more details about our wonderful trip. Today is fly home day. Please pray that we are prepared and no one leaves anything unintentionally behind. Pray for smooth passage back to the airport, and boarding the planes. Pray that we will have an easy time going through customs upon our return. I am sure that this trip has been tiring, and full of fun. I can’t wait to tell you all about it when I get back! I am really rather excited about today, but that would be because deep down inside, I am a history nerd. 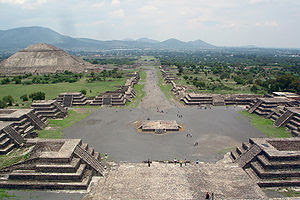 Today we will be visiting the Teotihuacan Pyramids. I can’t wait! It looks like there will be lots of walking involved….. but to be up close and personal with history like this, it is worth it! Again please pray for out testimony as a large group. Pray for witnessing opportunities as we are out with other tourists. The Doctor we have been working with will fly home today. Please pray for travel mercies. Today is a day that we have set aside to debrief. We will look back on a piece of paper we filled out a few weeks ago, about what we wanted God to teach us individually on this trip. Throughout the trip we have been challenged to look for God’s grace. We will take time to share the things that we have seen and learned. Pray that we will have many items to praise the Lord for on this day. Church day again. According to the schedule, we will be attending two different churches today. Our Dr. will be speaking at one church and our own Pastor will be speaking at another. Please pray for these men and the message that they will be sharing. Pray for our pastor’s wife, she will be interpreting for his message. I hope we learn much from worshiping with these people.